Our wedding invites are finally done and up online! Wanna know how we did it? Check out the entire “revealing” post here on Josh’s site! ← Bonjour Linocut Print On Material Girls! I stumbled upon your amazing invitations via a google search. 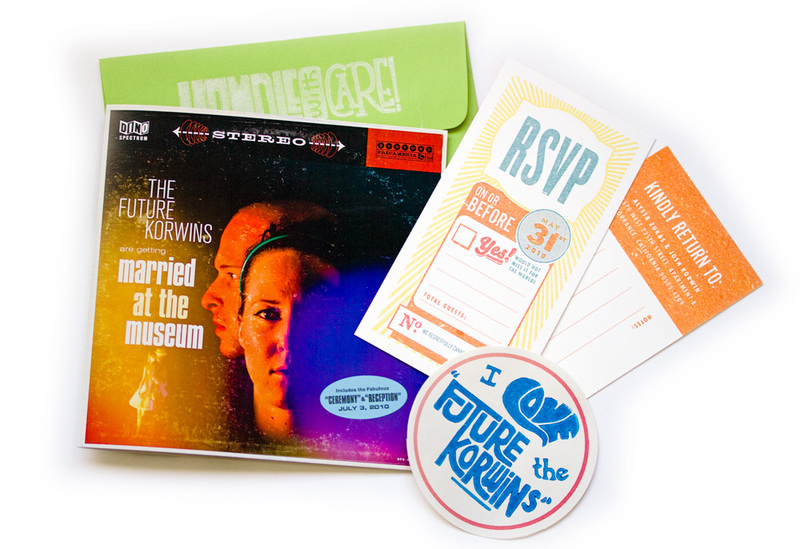 I’m getting married on 10.10.10 and we made sort of similar invites that were supposed to look like a vintage album/cd that had a pic of me and my fiance. I love your design- all of it is spot-on. Anyhow- that leads me to a query: Any interest in helping us design programs and/or posters?